I really don't know how to best phrase this question, but do extracts add sweetness or just the flavor? That is, what should I expect from an extract? For example, say I put maple extract into milk. Should I expect it to be the same as putting maple syrup in it if I use enough? Or if I put strawberry extract into it, is it then going to be as if I blended whatever amount of strawberries with milk without the added bulk of the fruit? I guess I'm just a bit confused as to what I'm getting, since I've never used them before. I see a lot of baking recipes call for them, but then they also call for significant amounts of sugar on top of it, as well. What if you had, say, strawberry extract and just added more of instead of sugar. What would that do to the taste/sweetness? I think you're conflating syrups and extracts. Extracts are some flavoring oil plus alcohol. Vanilla extract is a solution containing the flavor compound vanillin as the primary ingredient. Pure vanilla extract is made by macerating and percolating vanilla beans in a solution of ethyl alcohol and water. 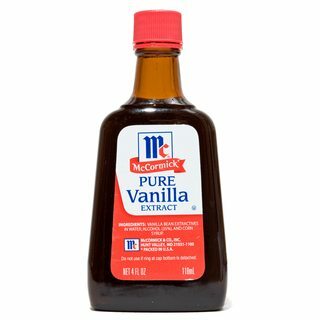 In the United States, in order for a vanilla extract to be called pure, the U.S. Food and Drug Administration requires that the solution contains a minimum of 35% alcohol and 100g of vanilla beans per litre (13.35 ounces per gallon). There's no sugar in extracts, it's just flavoring... very concentrated flavoring... with a bit of alcohol. It generally comes in very small bottles though large bottles are available for commercial uses. 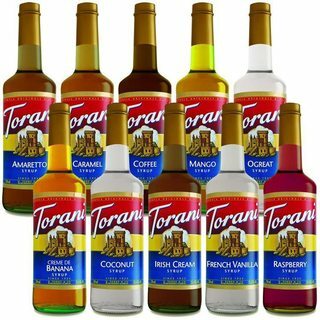 If you want sweetness and the flavor, try flavored syrups (like they use in coffee bars to make lattes)... but only in beverages and other similar recipes. You can't use these instead of sugar and extract in baking. Not the answer you're looking for? Browse other questions tagged baking extracts or ask your own question.